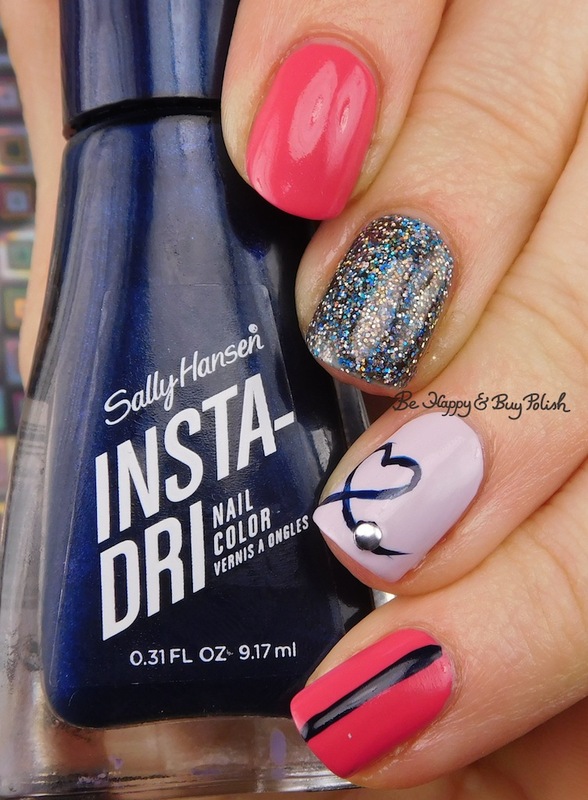 Posted in blog business, Holiday, Mainstream Polish, Manicures, Nail Art, pictures, Press Sample	by Jessica W.
For swatches of the new Sally Hansen Insta-Dri polishes, those are now available! Does it count as Valentine’s Day nail art if it doesn’t have hearts? Oh well, I’m going with it. 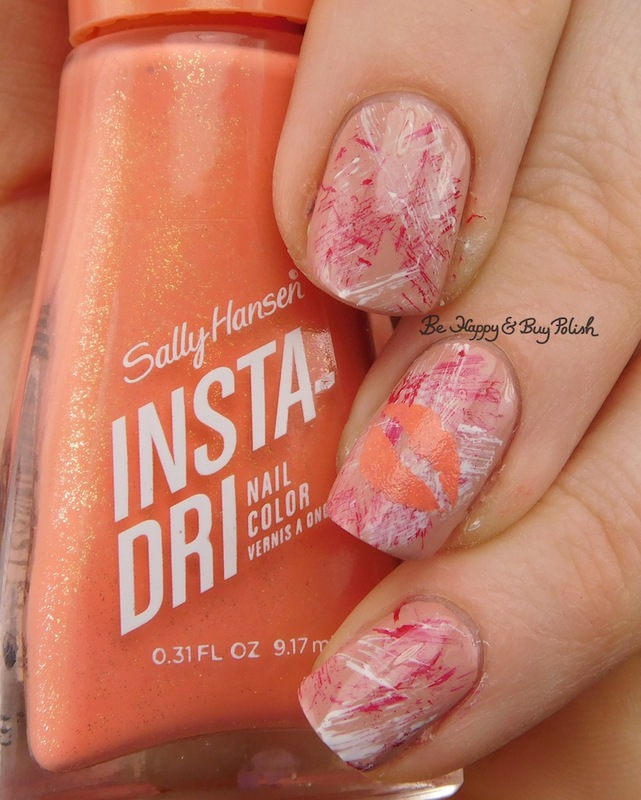 Swatches of the new Sally Hansen Insta-Dri line coming in a few days. 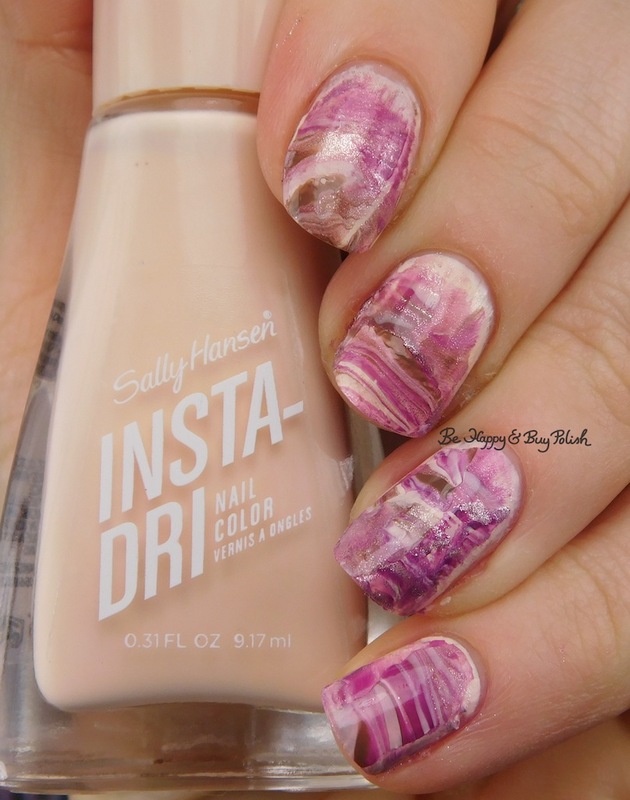 This first nail art manicure I took a lesson from this tutorial nail_muse on instagram. I’m definitely going to use this technique again. This second manicure, I used this tutorial (also from nail_muse) but it really didn’t turn out like I wanted so I didn’t wear it out. Posted in blog business, Holiday, Indie Polish, Mainstream Polish, Manicures, Nail Art, Nail Swatches, pictures, Press Sample, reviews	by Jessica W.
Stella Chroma Karavaki (Polish Pickup Pack December 2017), 3 thin coats plus 2 coats of top coat. This had kind of a stinky scent to it, but I chalked it up to the blue pigment possibly in the base. 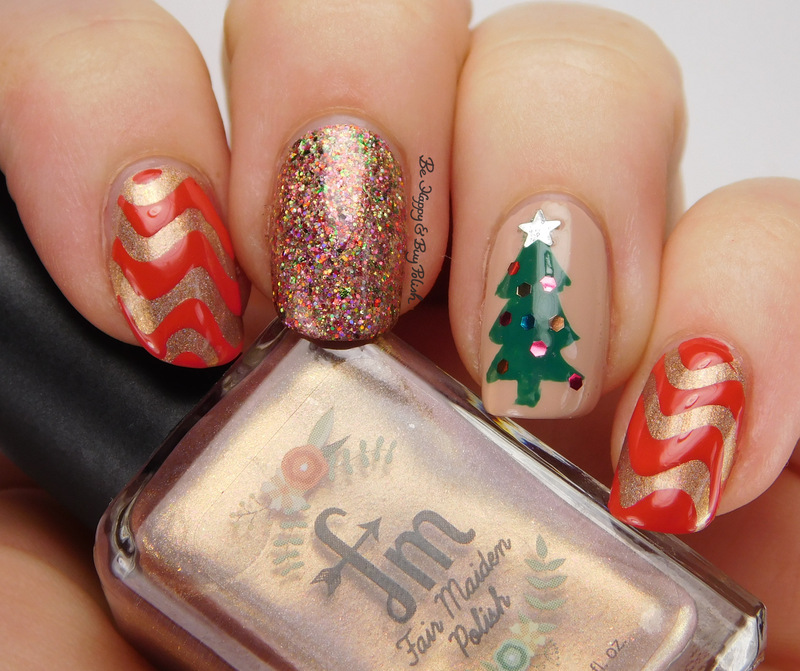 Posted in Holiday, Indie Polish, Manicures, Nail Art, Nail Swatches, pictures, reviews	by Jessica W.
So I had a post all ready for today, typed up and everything. And then somehow, it disappeared. No trace of it except that I had uploaded the pictures. Since I was starting over anyway, I decided to replace the post with this mani that I wore a couple of weeks ago with Pahlish Just Like the Setting Sun and Pretty & Polished Smoke & Mirrors. 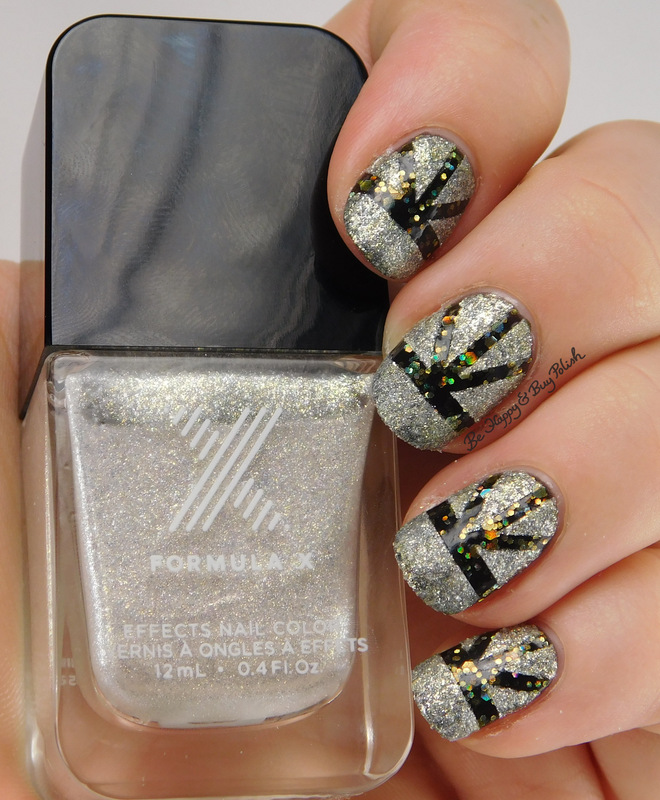 Posted in Holiday, Manicures, Nail Art	by Jessica W.
For tonight’s nails, I started off with 3 thin coats of Formula X Explosive. I thought this was a black base, but it’s kind of a dark forest-y green base with gold iridescent glitters. I then used straight vinyls and 1 thin coat of Formula X Moon Walk for this art deco-ish look. I love how super sparkly this whole look is; plus since Moon Walk is textured, no need to worry about a ruined mani! Here’s Moon Walk on its own – so glad I splurged. This is 3 thin coats and no top coat. Moon Walk has really pretty pink sparkles in it that were pretty impossible to capture. I’d have to say that I’m pretty much an old fuddy-duddy at this point. My family stays in, snacks on meat & cheeses and veggies, plus soup; we watch a bit of the shows on tv, then send the kids to bed for a bit before waking up just before midnight. What are your plans? 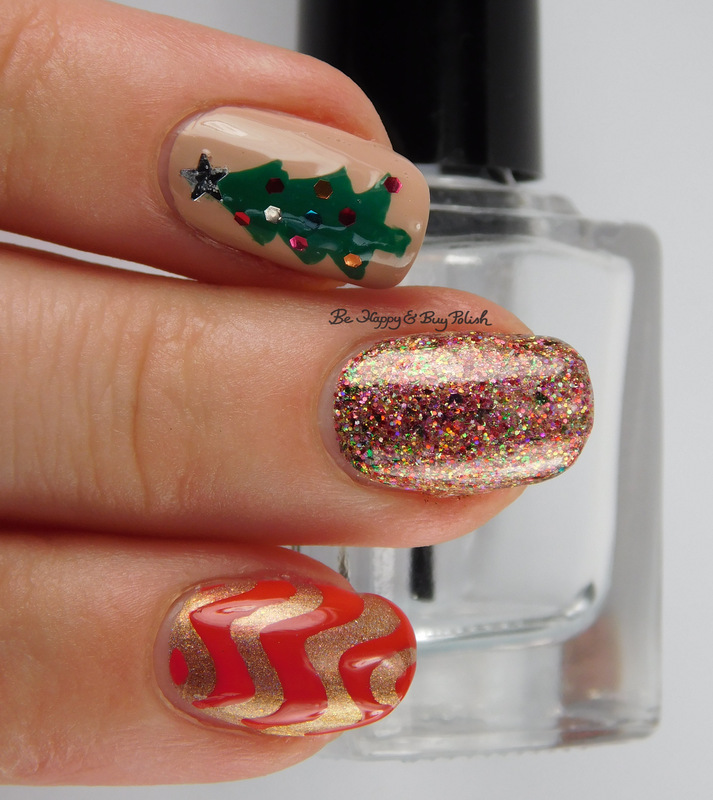 Posted in Holiday, Indie Polish, Manicures, Nail Art, pictures	by Jessica W.
Good morning everyone! Just an extremely quick post to show you what’s actually on my nails today. I started off with 3 thin coats of Fair Maiden Polish Secret Garden on my pointer and pinky fingers, then used wavy vinyls and OPI Cajun Shrimp for some festive waves. On my ring finger, I started with 2 thin coats of OPI Don’t Pretzel My Buttons. I used OPI Here Today Aragon Tomorrow for the tree, and picked out glitters from OPI Minnie Style and OPI The Living Daylights for the decorations. The tree reminds me of the tree from Christmas Vacation (favorite line: “Merry Christmas! Shitter’s full! ).